Can you make today a vacation? 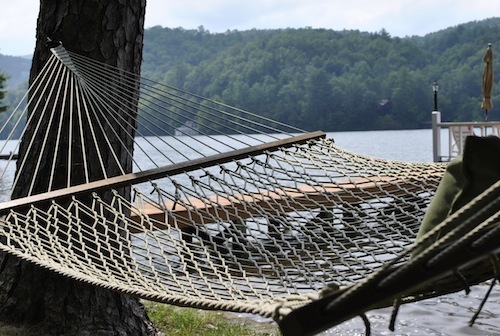 Do you love unplugging for a long weekend of swimming, reading, and sleeping in the hammock? I don't know about you, but for me few things bring as much refreshment as playing fetch with a dog and catching naps between chapters of a well-written novel. I have a thing for the smell of sunscreen and I positively drool at the sight of fresh-cut watermelon. When I pay attention, I notice the most thrilling bits of life are decidedly ordinary; they are seeped in rest and connecting with people. I don't need a vacation to have these things, I simply need to have the margin and the discipline to be present in my everyday moments. Vacations, or even long holiday weekends, are useful because they remind me to relish the joy of today. I hope this long weekend affords you the opportunity to recharge!